The story of the Hunley begins in the winter of 1861/62 in New Orleans with two steam gauge manufacturers, James McClintock and Baxter Watson. At the beginning of the war, the Confederacy had no navy and little money to build one. The Confederacy decided to use privateers as a way to put ships at sea to oppose the United States Navy. McClintock and Watson intended to build a submarine, apply for a Letter of Marque from the Confederacy, and attack United States shipping for profit. It was while building this first submarine, Pioneer, that Horace Hunley joined McClintock and Watson. On 31 March 1862, the men received a Letter of Marque from the Confederates States. One month after the Pioneer was completed; New Orleans fell to the United States. McClintock, Watson and Hunley scuttled the Pioneer so it would not fall into enemy hands. They gathered all of their diagrams and notes and left for Mobile, Alabama to build a second submarine. Pioneer was a very seaworthy boat, but with Pioneer II, they would experiment with submarine features not successfully used until the 20th century. The three built an electric motor to power their new submarine. Unfortunately, the motor did not have enough power to propel the submarine effectively. Next, they decided to use steam power. It was during this time that William Alexander joined the design and construction team. Once again, the mode of propulsion was unacceptable, the steam engine was removed from Pioneer II, and it was decided to use a hand crank to power the submarine. 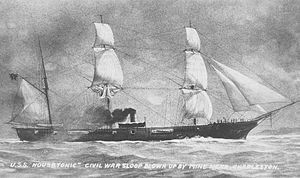 In early February 1863, the Pioneer II was lost; most likely while attempting to attack the United States blockading fleet at Mobile, Alabama. By the spring of 1863, our group of submariners joined with the Singer Submarine Corps (also known as the Singer Secret Service Corps). This next submarine would cost $15,000 to build, a large sum of money in 1863. Mr. E.C. Singer, of the Singer Submarine Corps, invested $5,000, Horace Hunley invested $5,000, and the remaining $5,000 came from a group of private investors. Later when more money was needed, Horace Hunley would provide the additional funds. In July 1863, the H.L. 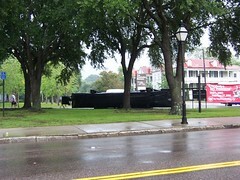 Hunley (named after the largest investor in the submarine) slid into the harbor for the first time. The Hunley incorporated knowledge learned from Pioneer and Pioneer II, and benefitted from the additional designers and engineers who had joined the project since 1861. Modern historians and academics greatly underestimated how advanced this submarine was, until it was raised in 2000. The most surprising feature discovered after the submarine was raised in 2000 is internal frames spaced every three feet to strengthen the hull, just as the modern United States Navy’s nuclear powered submarines have. The Hunley passed all its sea trials successfully. Next, the Hunley made a demonstration for high-ranking Confederate officers in the Mobile River. 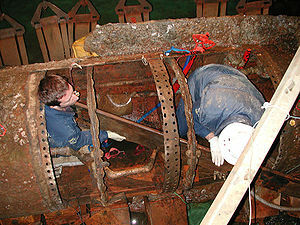 The Hunley submerged to twenty feet and approached a coal barge using its depth gage and compass. Behind the Hunley on a towrope was a powder keg with contact detonators. After destroying the barge, the Hunley surfaced and returned to shore. 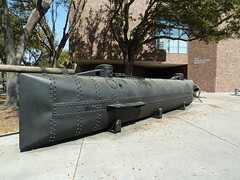 After the successful demonstration the Confederate officers were anxious to put the Hunley to use against the blockading fleet of the United States. Mobile Bay was shallow and the United States ships too far out to sea for the Hunley to be used effectively, so it was decided to send the submarine to Charleston, South Carolina. The commander of Mobile, General Slaughter, sent a letter of introduction to the commander of Charleston, General P.G.T. Beauregard, on 31 July 1863. Admiral Buchanan in Mobile also sent a letter to his counterpart in Charleston, Admiral Tucker. 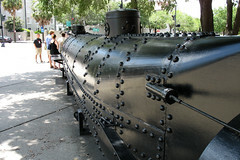 In early August 1863, the Hunley was lifted onto two flatbed cars at the Mobile train station and strapped down, to be shipped to Charleston. Due to the size and weight of the submarine this was no easy task. After arriving in Charleston, the Hunley made three nighttime raids into the harbor in the third week of August, but did not sink any ships. After more failed and cancelled attempts to sink ships of the United States Navy, the Confederate Army seized the submarine from its owners and turned it over to the Confederate Navy. (This is important when we discuss the salvage of the Hunley in a later article). The Confederate government determined the value of the submarine to be $27,500, but there is no evidence that shows this sum was paid to the owners. The inexperienced navy crew was docking the submarine on 29 August 1863 when something went wrong and the submarine submerged with the hatches open and the crew inside. 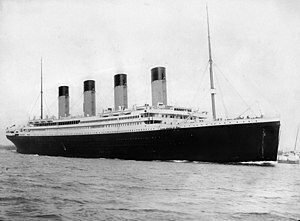 Four men escaped and five men drowned. On 13 September 1863, the Hunley was raised. On 19 September, General Beauregard turned the submarine over to Horace Hunley. 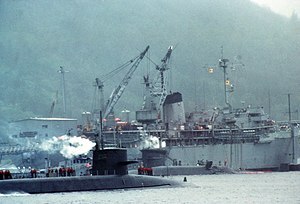 It is not clear, if ownership was transferred or only the operational control of the submarine. 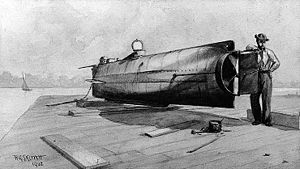 On 15 October 1863, with Horace Hunley at the controls the submarine Hunley was making practice attacks on the CSS Indian Chief when something went wrong and the submarine sank with a loss of the entire crew. After being raised and dry-docked for maintenance, the Hunley was ready for operations by 14 December 1863. It was during this time the Hunley was fitted with a spar type torpedo and would use this on future attacks instead of the towed powder keg. On the night of 14 February 1864 the Hunley ventured forth on what would be its last patrol. This was the night that the Hunley successfully attacked and sank the USS Housatonic. Shortly after the torpedo exploded and the USS Housatonic sank, with only its masts remaining above water, a Confederate sentry saw the signal from the Hunley for the lamp on shore to be lit to aid the submarine back to its dock. 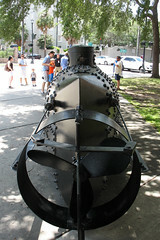 The signal was a blue light shown by the Hunley. 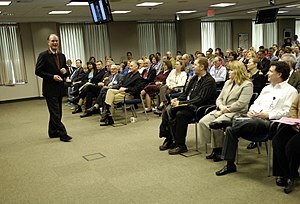 The historians and academics deny the signal was given, and claim the blue light seen was a lie because the Hunley sank with the Housatonic and never had a chance to send the signal. 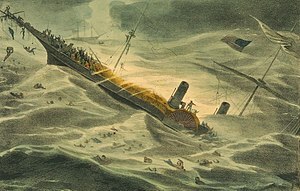 Since 14 February 1864, most historians and academics alike called the sinking of the USS Housatonic an unqualified success because, as they stated, “the Hunley sank the Housatonic and itself.” Though there were three separate salvage operations to remove parts of the Housatonic (it was considered a hazard to navigation) without any trace of the Hunley found, the professionals continued in their belief that the Hunley sank underneath the Housatonic. 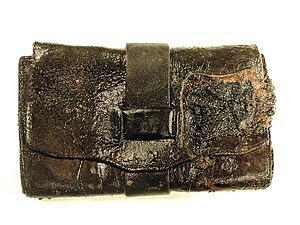 Then 120 years after that historic night a package of papers were found in the archives of Suitland, Maryland. These papers were the 115 pages of handwritten testimony from the United States Navy Inquiry into the loss of the USS Housatonic. Sealed with a wax seal these papers had never been read. It was in the testimony that a seaman Fleming from the Housatonic testified that as he was in the rigging watching the USS Canandaigua coming to their rescue he saw a blue light appear on the water just in front of the Canandaigua and off the stern quarter of the Housatonic. 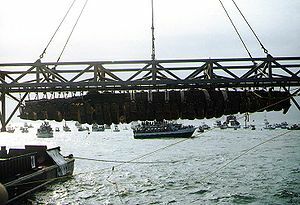 The location the H. L. Hunley was found in proves that the Hunley successfully attacked the Housatonic, and then withdrew to wait for the incoming tide to return to its dock. It was while the submarine was waiting on the tide to shift that the USS Canandaigua (unaware of the Hunley’s presence) ran over and sank the submarine. The blue light controversy is one of several controversies surrounding the Hunley, including who actually found the Hunley, Clive Cussler or Dr. E. Lee Spence. 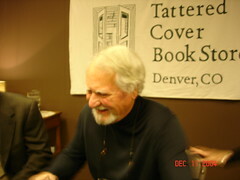 Next week’s article will be on Cussler’s discovery of the Hunley. 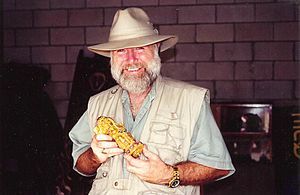 The following week will be on Dr. E. Lee Spence’s discovery of the Hunley. To learn more about the Hunley and the men who designed, built, and sailed her I highly recommend The Hunley: Submarines, Sacrifice & Success in the Civil War, and Submarine Warfare in the Civil War, both by Mark K. Ragan. 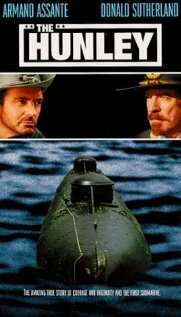 I have Submarine Warfare in the Civil War in my print library, and have thoroughly enjoyed the book. 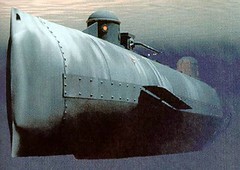 The first in a series of articles about the Hunley, and our search will start in an surprising place. See you Sunday.